January | 2014 | Great Cats of the "World"
Tiger Temple Update – January 2014 – For the gullible tourists and more gullible foreign volunteers of the Tiger Temple, the volunteers who go there and tout the wonders of the place and brilliant care of the tigers, all who have absolutely no qualifications in animal husbandry, and most who have never taken a moment to examine what “correct care” and “conservation” actually means. These people walk in there and carrying on like they know it all, and they absolutely talk trash about myself, and any other “volunteer” who saw what I saw and know. Let me shed a little vile light on the reality of this place. While I was an undercover inside the TT, I watched tigers go to their death and I couldnt do a thing about it. Tigers that I had helped raise and fed and loved. To prove that the Tiger Temple was involved in ongoing wildlife trade, I had to find the evidence besides Tigers disappearing in the night. I found that evidence in the form of the wildife trade black market contract inside the file of the black market bought “Dao Reung”. On that was the agreement between the Laos tiger farm trader and the Abbot of the Tiger Temple, plus a witness named Boi. It was horrific work to get that evidence. But it was the only way to stop them killing these wonderful Tigers. The temple broke my heart as I went there originally to work in the “wonderful tiger temple”. They shattered my soul but started a fire that would burn. Burn until somehow, the Tigers in there could be protected. Even the volunteers who have been in there recently confirm what was known in 2007. But, the graphic and soul destroying witnessing of the tigers going to their deaths, and then gathering the information to try and save the remaining tigers lives, is something that I would not wish on anyone. Let me paint you a picture – A beautiful gentle female tiger, named Darika, is unable to have cubs as she is in with a male tiger far to young to mate. She has be born slightly deformed in her feet and hips which make her limp, but she is such a stunning girl, and oh so gentle. One night, her “keeper” walks to her cage, she greets him, he puts a lead on her and walks her outside. She trusts him, and goes without a problem. She is then injected and she falls down onto a canvas unconscious. She is lifted onto the back of a truck and she is driven out of the Tiger Temple, never to be seen again. She is taken to Laos, to a Tiger farm, and there her life ends. Her body is carved up and used in the fake chinese traditional medicines and she (her body parts) are sold into the black market. Her fur is sold. She is gone. None of these oh so ignorant and arrogant volunteers, never had to experience that vision or witnessing. They have no idea how lucky they are to not have seen that. They talk about how sweet the older tigers are, and brag about how they are all great…. but once upon a time, every single tiger in the TT were panelled for death, just like Darika and many others. One day, the ignorance of the Temple foreign volunteers will finally touch their heart. That is a fact as karma comes back to them all sooner or later. 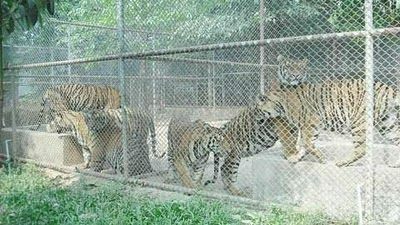 Dont ever think that we forget how the temple began and what it took to save the lives of the tigers. We will never forget, ever. Here is a Laos tiger farm in Maung Thong, Thakhek, LAOS. It exists, it is real. Photo by undercover reporters who infiltrated the Laos tiger farm in 2010…. All these tigers are dead now, just like Darika. The man-eater of Dodabetta was shot dead on Wednesday evening, by Special Task Force (STF) personnel, who have been assisting the Forest Department in tracking the elusive tiger. Though reports all through had suggested that the animal was to be tranquilised, caged and relocated to a zoo, the tiger was shot dead by the STF personnel. When asked who ordered the shooting of the tiger, a senior Forest official said no order was issued. 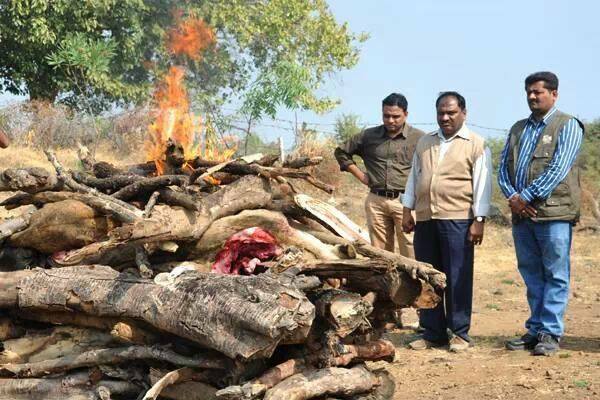 “The STF personnel were also trying to trap the animal. But, they claimed that they shot the tiger when it attempted to attack them,” the forest officer said. 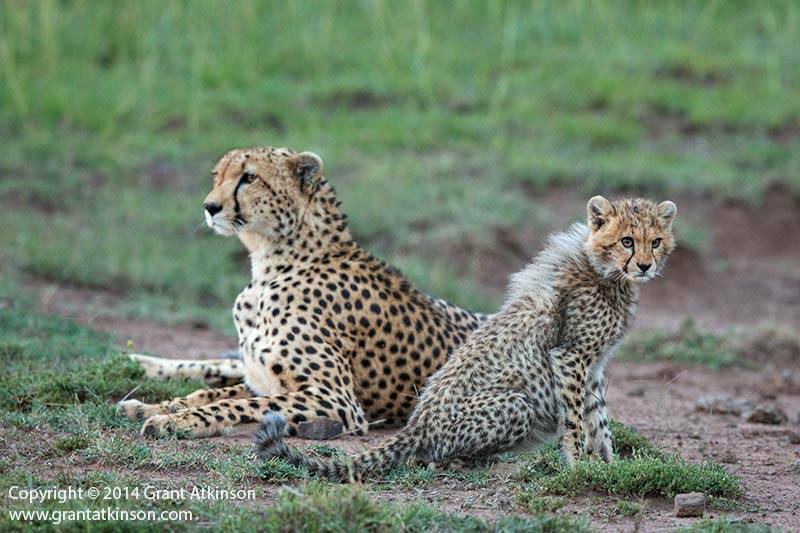 Adult female cheetah lead solitary lives, although this is not the case when they are raising cubs. Spending time watching and photographing a mother and her 14-week old cub ranks is very special. This image from yesterday, whilst on a photosafari with Andy Biggs Photo Safaris and Eyes on Africa, in the Olare Motorogi conservancy, Kenya. Image taken with a Canon 5Dmk3 and Canon EF 500f4L IS ii, s/speed 1/60sec at f6.3, Iso 3200. Wildlife Crime is the fourth largest illegal trade in the world …..
Wildlife Crime is the fourth largest illegal trade in the world after arms, narcotics and human trafficking. It was a near scare for the forest department when tigress T-16, popularly known as Machli, disappeared from the Bhooth Khora area in Ranthambhore Tiger Reserve for about a fortnight since January 9 when she was last photographed. However, a massive hunt on Friday helped the officials to trace the tigress’s fresh pug marks.”We have not been able to sight her but it is a relief that we managed to get fresh pug marks in the Peele Ghati area which is part of her territory. 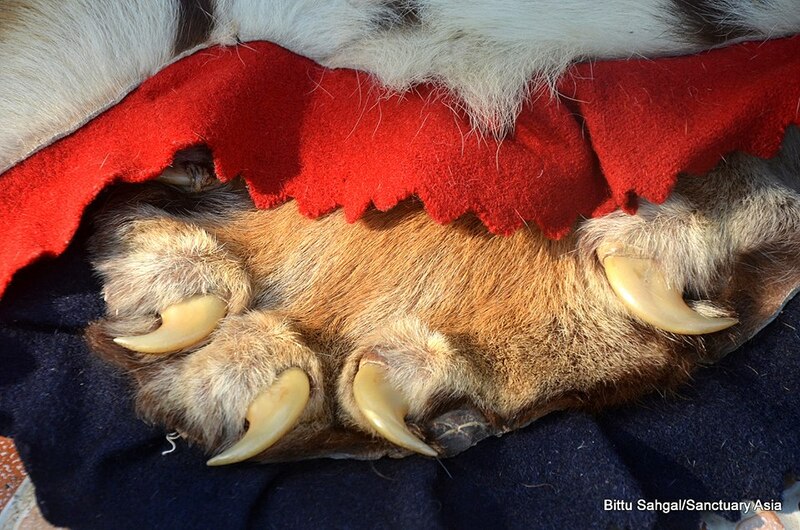 The pug marks are definitely her’s as a toe in one of her paws is crooked and the pug marks also reflect the same,” said DFO Rahul Bhatnagar. Sources revealed that worries mounted when the tigress did not come for some days for her regular food supplement provided by the forest department. The food supplement has to be provided to Machli as she is well over 16 years of age, much beyond the known life span of big cats in the wild. Moreover, an encounter with a crocodile once in a bid to save her cubs left her with broken canine.The 22-men team that launched the hunt for Machli will continue with their efforts on Saturday. Also known as the Lady of the Lake, Machli is one of the most celebrated tigresses of Ranthambhore and is said to be the most photographed cat in the world. 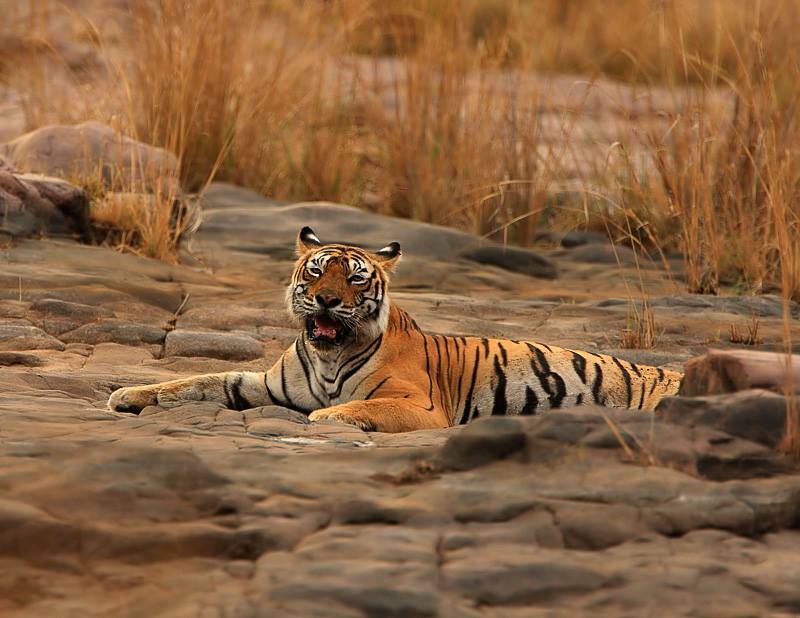 She is also the oldest living wild tigress in the world and has been the youngest mother in Ranthambhore. But with growing age she has been pushed to a corner in the forest by her own. Sources say the last time she was seen she had a limp.